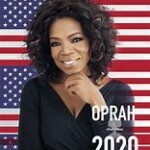 Oprah For President: You Can Present Powerfully, Too! Oprah Winfrey is a force of nature. You can’t deny her accomplishments. If you’ve read anything about her life, you know she came from poverty and rose above her raising to become a success in many areas. She recently received an award at the Golden Globes ceremonies. Her acceptance remarks gripped the audience. 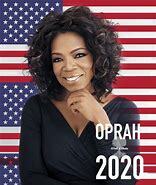 Her dynamic content and delivery caused a standing ovation, tears and cries for her to run for president in 2020. That’s the power of strong content and strong delivery. So far Oprah has expressed no interest in living in the White House. Whether you want to be considered for President in 2020 or not, you can be a more dynamic, compelling speaker by including elements of Oprah’s speech. First, she started with a story. Not someone else’s story, but her story. That engaged the audience immediately. She used colorful, descriptive language that put the audience in her story. She took the audience with her. “In 1964, I was a little girl sitting on the linoleum floor of my mother’s house.” She could have just said, “floor,” but “linoleum” gives us a whole different picture. I pictured yellow, crumbling floor that separated at the seams. She describes watching television as Sidney Poitier received the Oscar decades earlier. He was black. He was handsome. He wore a white tie. Oprah had never seen a black man win the Oscar. None of us had. It was the dawning of a new day! “The dawning of a new day” was her theme, her memorable, quotable line that we could all relate to as we begin 2018. She encouraged the audience to “maintain hope for a brighter morning, even during our darkest nights.” The next time you’re preparing a speech, talk, remarks or presentation, consider your memorable, quotable phrase. Make it something we in the audience can all relate to and connect with. There are several other elements of Oprah’s eight-minute speech I could point out including that she spoke for only eight minutes and packed a punch with every word. But, I’ll just add one more element of her speech that I feel made it powerful. She began with her story, a poor black girl, and managed to expand it to include and embrace all the bejeweled women and Armani cloaked men in the ballroom. She managed to embrace all of us at home sitting on our couches in our sweats with a pup snuggled on our laps. 1. Tell your story. Make sure it is relevant to your point. 2. Use colorful, descriptive language. Paint a picture that brings your audience with you. 3. Develop a memorable, quotable phrase that lingers with your audience. 4. Be brief. Make every word count. 5. Take your experience and expand it to embrace your entire audience. Make your message relevant for each person who listens. In my 35 years working with speakers who want to BORE NO MORE, clients are shocked by the amount of time and work it takes to craft their content and perfect their delivery. It’s worth it. Why speak if you aren’t going to take your audience’s breath away – even if just for a second. You can present powerfully!